I see this truth in the Bible. When Christ was born, soldiers were sent to kill all baby boys under the age of two in Bethlehem. The folks in Bethlehem then would have seen only evil. But there were those like Mary who saw God’s goodness. They knew that God had sent a Savior into the world! The killing of the infants was just the devil’s reaction to the gift of salvation that God had sent. If God takes care of the birds, how much more will He take care of you! So, by attacking the birds with disease, the devil is, in essence, reacting to God’s provision for His people. In other words, he saw that God’s provision had already been released on His people in a big way! With every new virus that the devil throws at us, you must discern that the devil is trying to pervert and reverse what God is already doing. Then, you will know that something good is going to come out of it. You see, every new strain of virus tells us that God has already released a new anointing of health for His people. And I believe that He releases new levels of increase for His people too. So don’t just see the evil. See the good that God is already doing! Hebrews 6:20 – …Jesus, having become High Priest forever according to the order of Melchizedek. Jesus is our High Priest forever. This “forever” aspect changes the way we are blessed and how we receive our blessings from God. As our High Priest, Jesus represents us before God. Since His priesthood is after the order of Melchizedek, which is one of righteousness, His righteousness becomes our righteousness forever. This means that we are forever righteous in God’s eyes! And because He will never die, but continue as our High Priest forever, we have an everlasting righteousness, not merely a here-today-gone-tomorrow righteousness based on our works. No, we have a perpetual and everlasting righteousness because Jesus is our High Priest forever. This also means that blessings are perpetually on your head because the Bible says that blessings are on the head of the righteous (Proverbs 10:6), and you are righteous forever! Unlike the priesthood according to the Levitical order, which blesses as well as curses, the priesthood of Jesus according to the Melchizedek order only blesses. There is no cursing, only blessing—always and forever! And because Jesus is our High Priest forever, the blessings do not come to us in intermittent drips, but stream into our lives in a never-ending flow. Because He is our High Priest forever, we can never stop His blessings. By being our High Priest forever, Jesus also touches the blessings that He gives us with a forever effect. He touches our lives and we have eternal life. He touches our ministry and its impact becomes eternal. And the more we see His priesthood as having a forever effect, the more permanent our blessings will be. Truly, there is nothing temporal about what Jesus our High Priest does. It is not a case of blessed today, cursed tomorrow. The blessings we receive are sure and steadfast because Jesus is our High Priest today, tomorrow and forever. So rejoice because Jesus your High Priest changes how you are blessed forever! In our media-saturated age, image consultants have become indispensable. Entertainers, athletes, politicians, and business leaders seem desperate to manage the way they are perceived in the eyes of the world. These high-priced consultants work to shape how their clients are viewed—even if sometimes there is a stark contrast between the public image and the real person inside. In reality, what people need—what all of us need—is not an external makeover but an inner transformation. Our deepest flaws cannot be corrected cosmetically. They are directly related to who we are in heart and mind, and they reveal how far we have fallen from the image of God in which we were created. But such transformation is beyond any human ability to accomplish. Only Christ offers us true transformation—not just a facelift or an outward adjustment. Paul said that those who have been raised to eternal life in Christ “have put on the new man who is renewed in knowledge according to the image of Him who created him” (Col. 3:10). New! What a tremendous word full of hope! Christ transforms us into new people in Him—people with a new heart, not just fixed up to look good on the outside. The Spirit develops in us the clear image of Christ. God is ready to present you with new opportunities! He wants to open new doors before you. It doesn’t matter what’s happening in the world around you, God’s Word remains true! In an instant, God can bring the right people into your life, the right opportunities, and the right resources to take you to a whole new level. But in order to go to a higher level, you have to have a higher way of thinking. You can’t allow worry and fear to fill your thoughts because fear actually blocks the door of God’s blessing. Instead, fill your mind with the Word of God. Let His truth empower you because His ways are always higher than our ways, and even now He is working behind the scenes on your behalf to open a door of opportunity! The disciples were using natural reasoning and recognized that they didn’t have the ability to minister to the multitude’s need for food. Jesus did have the ability and the willingness to minister to their needs, so the multitude did not need to depart. All of their needs could be met through Jesus. The same thing is true today. Some disciples today are sending the multitudes to the world to meet their physical needs (finances, health, counseling, etc.) and proclaiming that God only meets spiritual needs. But, “they need not depart.” The Lord is willing and able to heal our bodies, prosper us financially, or counsel us from His Word in any area of our life where we might have need. Before we can be a blessing, we have to be blessed (Gen. 12:2). One of the purposes of God’s prosperity in our lives is so that we can be a blessing to others. The Scriptures instruct us to walk in God’s love towards all men, believers and non-believers alike. Jesus told us to love our enemies (Mt. 5:44). In Galatians 6:10 Paul places a priority on helping fellow Christians. This does not diminish our responsibility to show God’s love to non-believers. Instead, Paul is simply saying “charity must start at home.” It would be hypocritical to step over hurting brothers and sisters in the Lord to find unbelievers to minister to. God didn’t just give us something that He had; He gave Himself. And what was God’s motive for giving? It wasn’t because of His need, but ours. He was motivated out of love for us (Jn. 3:16). In the same way, we should be encouraged to give unselfishly of ourselves. Pray for Divine appointments, to be used of God to touch someone’s life today. God does not want you to just experience success in your life. He wants you to experience good success. Is there such a thing as “bad success”? Yes there is and I am sure you have seen it yourself. There are people who have plenty of money, but their lives are scarred by one broken marriage after another. There are also people who are so busy with their careers that they no longer have time to put their kids to bed nor spend any quality time with them. Being a public success but a private failure is not good success at all! Good success comes from the Lord. It is success that has no sorrow or grief added to it. So depend on Jesus’ unmerited favor to bring you to a place of good success. Don’t say, “I’ll do it my way!” Let Him do it. Let Him open the right doors and close the wrong ones. Let Him put you at the right place at the right time. Keep your eyes on Him and not the things you have or want. This will keep you walking in the kind of success that truly blesses you and makes you a blessing to others. This entry was posted in WALTER'S WEB and tagged ALL OUR NEEDS, christianity, FAITH, FULL GOSPEL, GIFTS OF THE SPIRIT, HOLY SPIRIT, JESUS CHRIST, MIRACLES, PROSPERITY, VICTORY, VICTORY MINISTRIES, WALTER KAMBULOW, WORD OF FAITH on April 30, 2015 by WALTHOPE. A pastor, who had visited heaven and talked with Jesus there, told the real story of a man who died and went to heaven, expecting Jesus to welcome him at the gates of heaven. He waited there three days before an angel told him that it is pointless for him to wait there since Jesus won’t see him. He was puzzled because he had done a great work for Jesus. He had initiated a Christian businessmen fellowship that encircled around the globe. There are chapters in every city and town in almost every country. There are meetings, magazines for Christian testimonies, souls were saved – surely he had done a great work for God. But the angel asked him one question. When he started the work, did he really get the idea from God or was it from himself? He pondered for a long time before he admitted that it was his own idea. The angel showed him his book of records and he was shocked at seeing the consequences of his actions. “You mean I did that?” was all he could utter repeatedly. His work was actually drawing many Christians from their true callings when they jumped on the bandwagon he started. Once a woman suffered severely owing to some illness. A Pastor requested my father (Bro. D.G.S. Dhinakaran) to offer personal prayers for her. My father visited this woman’s house and prayed fervently for her. The Lord revealed the reason for her illness. At once my father looked at the woman and said, “Sister, you don’t have to suffer like this anymore. The Bible says in Matthew 6:14, ‘For if you forgive men their trespasses, your heavenly Father will also forgive you.’ Do you have any brothers?” That woman responded saying, “Yes I do have brothers.” Then my father continued saying, “Dear sister! You have not followed the teachings of our Lord Jesus Christ. You have been unfairly hoarding the possessions and land documents of your dear brothers. They are suffering greatly and are terribly in want of money. Please handover all their documents and make them happy. Surely God will heal you and make you happy too.” That woman resented this statement because she did not want to give up the possessions of her brothers that were under her control because she craved for worldly honour, respect and power. Therefore, suffering with that illness she passed away. Jesus the epitome of love and character didn’t go around blessing people with words. He didn’t bless the religious and political leaders of His day but cursed them. ‘Woe to you’ doesn’t mean something good is going to happen to you. He called them all kinds of names including hypocrites, murderers, serpents, brood of vipers, liars, blind guides, sons of hell, etc. He told them they would not escape the condemnation of hell (Matthew 23:15, 33, Luke 11:24-25, 23:38-31) and they didn’t! But when it came to the poor and needy Jesus attitude and approach to such as these was completely different. The bible says of Jesus ‘A bruised reed He will not break, And smoking flax He will not quench, Till He sends forth justice to victory; And in His name Gentiles will trust’ (Matthew 12:20-21). He demonstrated His love for them by His miracle deeds. He healed the blind and cleansed the lepers. He was and is very kind and compassionate towards those who are poor and needy and need a miracle. When he saw a bereaving widow whose only son had died, he had compassion and brought the son back to life and presented him to his mother (Luke 7:12-15). When He saw a great multitude, He was moved with compassion for them, and healed their sick (Matthew 9:36, 14:14). When the blind men asked for healing, He had compassion and touched their eyes. And immediately their eyes received sight, and they followed Him (Matthew 20:30-34). Who then is Paul, and who is Apollos, but ministers through whom you believed, as the Lord gave to each one? I planted, Apollos watered, but God gave the increase. So then neither he who plants is anything, nor he who waters, but God who gives the increase. It’s to be noted that ministry is not to facilitate the vision of the house and its evangelist or pastor. Ministry is not to get rich off the sheep. Ministry is not to purse a secret hidden agenda for prominence, fortune and fame like Judas who betrayed Jesus for his greed (Matthew 26:24, Luke 6; 16, Luke 22:3). Yes Judas healed the sick, cast out devils and fellowshipped with Jesus and also stole money from the treasurer and was a betrayer and traitor! Unlike others even of our day, Jesus did not just teach or preach but He did real works such as cast out devils, heal the sick, raise the dead, cause cripples to walk, and rebuked religious Pharisees who didn’t do such things! What Jesus lacked in any area of His life He made up for it by the power of the anointing. Prayer, knowledge of the Word of God and the anointing were the only things Jesus needed to minister to the poor, hurting and needy people. And He did a very successful job! Yes, what God has done for one minister of the gospel He will do for another? He will work with them and confirm the word through the accompanying signs. “Now, Lord, look on their threats, and grant to Your servants that with all boldness they may speak Your word, “by stretching out Your hand to heal, and that signs and wonders may be done through the name of Your holy Servant Jesus.” And when they had prayed, the place where they were assembled together was shaken; and they were all filled with the Holy Spirit, and they spoke the Word of God with boldness. This entry was posted in WALTER'S WEB and tagged christianity, FAITH, FULL GOSPEL, GIFTS OF THE SPIRIT, God Is Faithful, HEALING, HOLY SPIRIT, JESUS CHRIST, MIRACLES, PROSPERITY, VICTORY, VICTORY MINISTRIES, WALTER KAMBULOW, WORD OF FAITH on April 29, 2015 by WALTHOPE. DANGEROUS ASSUMPTIONS IN THE WORD OF GOD COULD LEAD TO A SERIOUS PROBLEM! 42 And the Lord said, “Who then is that faithful and wise steward, whom his master will make ruler over his household, to give them their portion of food in due season? 44 Truly, I say to you that he will make him ruler over all that he has. 46 the master of that servant will come on a day when he is not looking for him, and at an hour when he is not aware, and will cut him in two and appoint him his portion with the unbelievers. 47 And that servant who knew his master’s will, and did not prepare himself or do according to his will, shall be beaten with many stripes. Only a born again Christian can be a servant of God. And Jesus was very clear that the Irresponsible and Lawless Servant will be cut in two and his portion appointed with the unbelievers! 46 And these will go away into everlasting punishment, but the righteous into eternal life. 23 Therefore the kingdom of heaven is like a certain king who wanted to settle accounts with his servants. 24 And when he had begun to settle accounts, one was brought to him who owed him ten thousand talents. 25 But as he was not able to pay, his master commanded that he be sold, with his wife and children and all that he had, and that payment be made. 27 Then the master of that servant was moved with compassion, released him, and forgave him the debt. 30 And he would not, but went and threw him into prison till he should pay the debt. 31 So when his fellow servants saw what had been done, they were very grieved, and came and told their master all that had been done. 32 Then his master, after he had called him, said to him, ‘You wicked servant! I forgave you all that debt because you begged me. 34 And his master was angry, and delivered him to the torturers until he should pay all that was due to him. This entry was posted in WALTER'S WEB and tagged A SERIOUS PROBLEM, christianity, FAITH, FALSE PROPHETS, FULL GOSPEL, GIFTS OF THE SPIRIT, HEALING, JESUS CHRIST, VICTORY, VICTORY MINISTRIES, WALTER KAMBULOW, WORD OF FAITH on April 28, 2015 by WALTHOPE. “Therefore, having been justified by faith, we have peace with God through our Lord Jesus Christ, through whom also we have access by faith into this grace in which we stand, and rejoice in hope of the glory of God. And not only that, but we also glory in tribulations, knowing that tribulation produces perseverance; and perseverance, character; and character, hope. Now hope does not disappoint, because the love of God has been poured out in our hearts by the Holy Spirit who was given to us” Romans 5:1–5. When the devil comes to kill, steal and destroy, God has set forever in eternity that we must get back sevenfold. And God will restore us in a better way than we were at first and then He will increase and multiply what was stolen. That’s our God because God is good. And for anyone that gives up houses, lands, brothers, sisters, possessions in this life time for the sake of the gospel, God will restore back one hundredfold now! (Mark 10:29, 30). The Lord does abundantly above what we can ask. He does abundantly above what we can think (Eph. 3:20). When we stand in faith and believe that God is hugely enthusiastic about wanting to bring restoration into our lives, we truly honor Him. 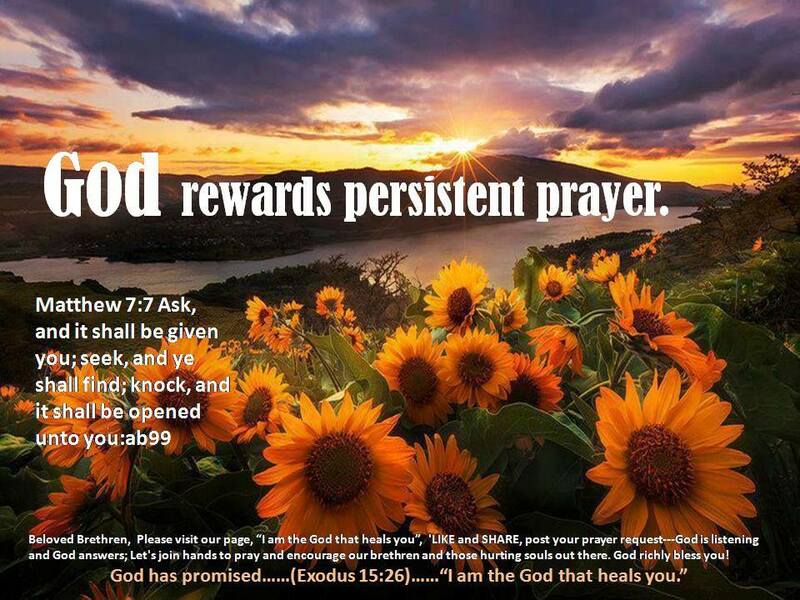 Our Father in heaven is good and He is the Great Restorer. We should have high hopes about that and believe it, no matter what happens. Believe that God not only wants to restore what has been robbed and plundered in our life and in other people’s lives, but He also wants to add blessings to that which is restored. “Blessings are on the head of the righteous…” (Proverbs 10:6). That’s our head! Fear not, O land; Be glad and rejoice, For the LORD has done marvelous things! Do not be afraid, you beasts of the field; For the open pastures are springing up, And the tree bears its fruit; The fig tree and the vine yield their strength. Be glad then, you children of Zion, And rejoice in the LORD your God; For He has given you the former rain faithfully, And He will cause the rain to come down for you- The former rain, And the latter rain in the first month. The threshing floors shall be full of wheat, And the vats shall overflow with new wine and oil. This entry was posted in WALTER'S WEB and tagged FAITH, FULL GOSPEL, HEALING, HOLY SPIRIT, JESUS CHRIST, MIRACLES, PROSPERITY, VICTORY, VICTORY MINISTRIES, WALTER KAMBULOW, WILL SAVE on April 28, 2015 by WALTHOPE. God has given us natural senses to touch, taste, smell, hear and feel the things of the natural realm. In the same way, God has provided a spiritual creation for us, the spiritual senses to experience the spiritual world. That is why we have an inner man with inner ears, eyes and other senses on the inside of us. In fact, because it is eternal, the spiritual realm is even more real than the physical realm. Everything that we have in the natural earthly realm came out of the invisible realm. When we were born again at the moment of our salvation, we received the most important and powerful gift in the universe, Jesus Christ and the Holy Spirit. In other words we have God Himself now living in us along with all the power, anointing, revelation and glory of heaven. We are also now seated with Christ who is seated at the right hand of the Father in Heavenly places. We are now complete in Christ but we need to totally yield to the Holy Spirit in every ways so that we can grow and consume every soulish and fleshly area of our lives and be all that we can be and have all that we can have! We need to eat the solid food of heaven including the Word of God, divine and secret mysteries, and have the great power and anointing from the Holy Spirit, and the very glory of God as our own atmosphere! And God has given us the five-fold ministry so that the body of Christ might grow into a mature man with the fullness of Christ and no longer be children. We need to exercise our spiritual senses, become more familiar with the spiritual realm through intimacy with God, and become mature spiritual people full of His fullness! We don’t need to become quite old physically and still be a baby spiritually. If we limit how much of God we can have and express or what He can or cannot do in our hearts and lives we will remain babes and not mature sons of God. We need to ask God to overshadow us with His Spirit and cause His Kingdom within us to grow and expand and have dominion over every area of our lives. We need to allow Him to demonstrate His character, His Glory, and His power in us. Fear, ignorance, unbelief, apathy and other things keep us from constantly living in God’s supernatural realm. The spiritual realm is as real as the natural realm and by the Spirit it’s just as easy to walk and live in that supernatural reality as it is in the natural reality. Our heart’s cry should be we want heaven to touch the earth. We want heavenly glory. We want to open up the windows of heaven and we want to live in the supernatural provision of God’s grace, power and presence. The Kingdom of God is not in word only but in power. And we need to see the demonstration of the Holy Spirit and power. And we need to walk in God’s power. The Bible encourages us to set our mind on things above where Christ is seated. Yes, we need to get our mind high up there. Get our mind heavenly minded. Get our mind thinking about how real it is in heaven and that that realm is more real than the world that we live in. And we will experience demonic powers and principalities for the Devil is real and he really does want to kill, steal and destroy. But thank God there are more for us in the heavenly realm than those who are against us and Jesus Christ leads us constantly in victory over all our enemies. However we need to wait upon God and take time to listen what He has to say to us and act on what He tells us. Because we are in Christ, we live under an open heaven just like Jesus did after He came up from the waters of baptism and the heavens opened and the dove came down. We understanding the reality of the spiritual realm and walking with the expectation that it is accessible to us, to every believer. As a full heir of the spiritual kingdom we should be touching, tasting, hearing, seeing and feeling what is going on in heaven for we are just as much a spiritual being as a natural being. Yes, we are a natural creation but we are also a spiritual creation. And God wants to give us that spirit of wisdom and revelation and enlighten the eyes of our understanding is for the knowledge of Him and He wants us to live in that intimate place now rather than when we die. We are to enjoy the presence and power of God every day and have Him speak to us at all times. We need to cultivate a lifestyle of seeking for and living in the presence of the Lord and having various levels of visions and revelation and smelling the fragrances of heaven. Often it’s the natural that keeps us from the heavenly—it keeps us from the fullness of everything we have in God and which is promised in scripture. There will always be a war between our flesh and a war between our spirit. This entry was posted in WALTER'S WEB and tagged christianity, FAITH, FULL GOSPEL, GIFTS OF THE SPIRIT, GLORY, HEALING, HOLY SPIRIT, JESUS CHRIST, MIRACLES, PROSPERITY, VICTORY, VICTORY MINISTRIES, WALTER KAMBULOW, WORD OF FAITH on April 26, 2015 by WALTHOPE. John 16: 7 Nevertheless I tell you the truth. It is to your advantage that I go away; for if I do not go away, the Helper will not come to you; but if I depart, I will send Him to you. 8 And when He has come, He will convict the world of sin, and of righteousness, and of judgment: 9 of sin, because they do not believe in Me; 10 of righteousness, because I go to My Father and you see Me no more; 11 of judgment, because the ruler of this world is judged. 12 “I still have many things to say to you, but you cannot bear them now. 13 However, when He, the Spirit of truth, has come, He will guide you into all truth; for He will not speak on His own authority, but whatever He hears He will speak; and He will tell you things to come. 14 He will glorify Me, for He will take of what is Mine and declare it to you. 15 All things that the Father has are Mine. Therefore I said that He will take of Mine and declare it to you. 13 However, when He, the Spirit of truth, has come, He will guide you into all truth; for He will not speak on His own authority, but whatever He hears He will speak; and He will tell you things to come. Jesus said that He would go away and send for our advantage, not a religion or a religious structure full of blind ones leading the blind, but a Helper, the Spirit of truth, He would guide us into all truth. However Jesus told us we would need for our ears to hear what the Spirit would say to each one of us individually! But if our ears are deaf or closed we will not hear nor profit from all that the Spirit has to tell us even on a daily basis! But the Holy Spirit will never speak to us anything that is contrary to what is written in the word of God. So we need to know the word of God thoroughly so that we will not be deceived by familiar Spirits or by false prophets and false teachers whoever they might be! And many around us are false but the Holy Spirit, the Spirit of truth, is never false and He never tells lies! Matthew 7: 7 “Ask, and it will be given to you; seek, and you will find; knock, and it will be opened to you. 8 For everyone who asks receives, and he who seeks finds, and to him who knocks it will be opened.9 Or what man is there among you who, if his son asks for bread, will give him a stone? 10 Or if he asks for a fish, will he give him a serpent? 11 If you then, being evil, know how to give good gifts to your children, how much more will your Father who is in heaven give good things to those who ask Him! 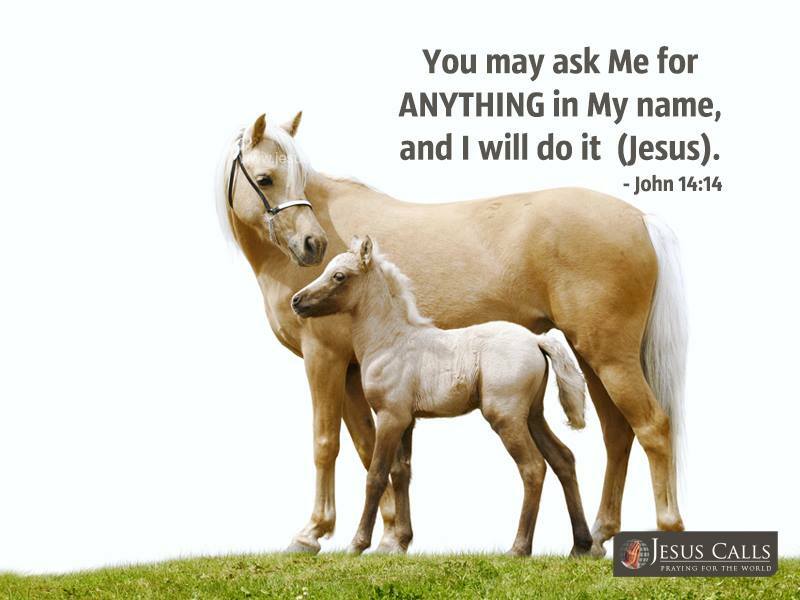 John 16: 23 “And in that day you will ask Me nothing. Most assuredly, I say to you, whatever you ask the Father in My name He will give you. 24 Until now you have asked nothing in My name. Ask, and you will receive, that your joy may be full. This entry was posted in WALTER'S WEB and tagged christianity, FAITH, FULL GOSPEL, GIFTS OF THE SPIRIT, HEALING, HOLY SPIRIT, JESUS CHRIST, LET HIM HEAR, MIRACLES, PROSPERITY, VICTORY, VICTORY MINISTRIES, WALTER KAMBULOW, WORD OF FAITH on April 26, 2015 by WALTHOPE.